This is comprehensive Certified Oklahoma Commercial Drivers Ed School that includes 16 hour of total course time. The driving course includes: 10 hour classroom training and 6 hours of one-on-one behind the wheel training. This certificate will allow students to take the permit test at age 15 1/2 in Oklahoma. The completion certificate is required for new drivers of age 15 1/2 to 16 in order to take the driving permit test. It also comes with a certificate to proove Drivers Ed Training to receive the sizeable discount from your auto insurance provider. Add All Services from KabesDad.com on the Registration Page. All scheduled pickup and dropoff's are to be done at the Grove Community Center (during the summer) unless you would like transportation service. Pick-up and Drop-off Service >10 miles from GHS................................. Whatever is fair based on time. One Time Pick-up or Drop-off.......................................................................... $10 per drop/pick. Interstate on and off ramps, parallel parking, city driving, stop and go traffic, all available. Ask about others. Is your teen driving erratically? This is a 2 hour insight to a frightful look at the chaos that unsafe driving can cause. It includes a trip to the salvage yard and look into making better decisions starting today. This is a 2 hour adult driving evaluation. Comes with a detailed emailed report about the drive. 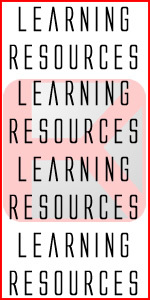 Drivers Ed Learning Resources for Students and Parents. Fuel: The cost of fuel is included in the schedule of services. No extra fuel cost or fee will be assessed. Full payment for services $200 or less are due at time of service. Pay by Credit Card on the Pay Here page. The remaining balance is due the first day of classroom training. MIssed or Cancled a driving time scheduled on calendar (less than 48 hrs notice) : $20 Reschedule Fee. Gifting any service is allowed however a parent or guardian or the recipient of the training may refuse the gift in which case a full refund is issued. Proof of any services you have completed with Kabe’s Dad Driving School may be requested to be replaced if lost. A charge of $5.00 per certificate be assessed to reproduce these documents. Kabe’s Dad Driving School does accept personal checks however they must clear before services are completed. If a check is returned for insufficient funds a fee of $30.00 will be assessed and added to the total due. Any trading of goods or services in exchange for Driving or Drivers Ed Training must be approved by Mike Huggins before services begin.